Investing in new windows is always one of the best things that consumers can do to boost their property values, improve the overall efficiency of their homes, build sweat equity, and create more comfortable living environments. In fact, there are many more benefits that the right window upgrades can provide. When it comes time to choose the best options for this improvement project, however, it is often best to invest in the wooden windows London locals have access to. Following are several, impressive reasons why. All-wood windows have a level of charm that other materials simply do not. In terms of overall aesthetics, these structures are simply incomparable. Although aluminum and vinyl window frames can be painted any shade or hue of the customer’s own choosing, these options are not capable of providing the same rustic and classic look. This is especially true when choosing windows for any historic home or any home that was made during a period of classic architecture. Imagine improving upon a historic Georgian, Edwardian or Victorian home design with vinyl windows. This would hardly provide appealing results. It is also important to note that the use of wood in window frames is essential in any instance in which consumers wish to maintain the historic integrity of their properties. If wooden, sash windows were the first window types in stalled, then only wooden sash windows will allow the home to maintain its original charm and appeal. This is all the more important to consider when historic homes are nestled among other, equally dated properties and maintaining their authenticity is a vital part of keeping the entire neighborhood true to its roots. Beyond aesthetics and the ability to preserve the integrity of dated, architectural designs, wood windows can additionally offer a number of incredibly practical benefits. Wood is a terrible conductor of heat. This in turn makes it an excellent choice for ventilation. For most properties and with most all-wood window styles, this can allow for dramatic decreases in overall heating and cooling costs. This is all the more true when double, triple or even quadruple glazed options are installed. People can pay less to heat their homes in winter, and less still to cool them off in summer. 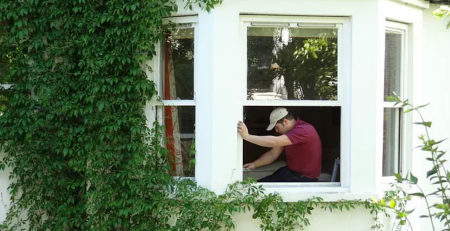 With all-wood sash windows, there is also the added benefit of getting excellent ventilation. These are truly the best window styles for those who like getting a nice cross breeze. Even cracking these structures slightly will promote good air flow. Beyond airing out and cooling a stuffy living environment down, this ventilation can additionally allow for a dramatic increase in overall indoor air qualities. For households with members who routinely suffer from allergy attacks or any other respiratory-related issues, all-wood sash windows can be a tremendous boon. The ability to promote better air flow and without the use of a closed, HVAC system can allow for far fewer indoor allergens like dirt, dust and dander circulating through the home. There are a number of consumers who are highly concerned with the health and well-being of the natural environment. These individuals are interested in finding and implementing green-building strategies that greatly minimize the impact on their home improvement projects. The installation of all-wood windows is definitely one of these. When compared to PVC window styles, all-wood options take eight times less energy to manufacture. If deforestation is a concern, consumers can look for companies like Mortice and Green that are committed to sourcing the raw materials for their jobs in an ethical, affordable and sustainable fashion. Not only do hardwood windows take a lot less energy to manufacture, but they can also be far more long-lasting than many of their alternatives. In fact, London residents only need to look at the windows in the historic Ham House to see just how long-lasting wooden windows can actually be. The windows in this popular attractive have actually been around for a little over three centuries. This is a stunning testament to the enduring nature of wood, especially when it is diligently maintained. In most instances, homeowners who choose these products will never have to replace their windows again within their own lifetimes. Many of the most common concerns that people have with wooden building structures can all be effectively addressed with timely maintenance and care. Painting and staining these structures is about far more than simply creating a seamless and visually appealing look for building structures. These efforts are also vital for preventing moisture damages and for avoiding problems with termites and other insects. Fortunately, diligence in these areas has been proven to promote long-lasting durability. When consumers invest in all-wood products, they can look forward to having these designs last for many decades. Moreover, they can also expect to see a dramatic increase in their overall property values. When you upgrade the windows in your home to hardwood sash windows, your property will be easier to market if you ever choose to sell it, and it will also be able to fetch a significantly higher price overall. This is why this is the preferred method of home improvement among savvy property owners who are looking to dramatically increase their sweat equity. When choosing an all-wood window supplier, it is important to work with a reputable and highly experienced company like Mortice and Green. The professionals at Mortice and Green love what they do and it definitely shows in both their overall work quality and their commitment to providing first-rate, customer care. This top-rated London firm maintains its very own workshop. More important, no portion of its window manufacturing processes is passed on to any third-party companies. This allows for lower production costs and significantly higher levels of quality control. 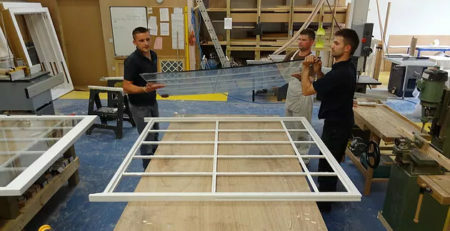 Mortice and Green also provides services for the restoration and repair of original sash windows. If you own a historic home and want to preserve the authenticity of your residence by keeping as many original fixtures in place as possible, this is definitely the business to work with. This company has handled countless projects like these throughout the years and always with stunning results.